The United Kingdom’s first (and only) 4G LTE carrier is expanding its network into 27 additional towns this summer. That will bring the total count to about 65 markets once the switch is flipped to the “on” position and customers with the right equipment, SIM card and rate plan will be able to gobble down their data all that much faster on the “4GEE” branded service. EE, the new combined brand for Orange and T-Mobile in the UK, made waves in the market when it was authorized to use existing spectrum it held licenses for to deploy LTE service. It was a win for the carrier since the other established players like Vodafone, O2 and 3 had not even bid on spectrum yet-to-be auctioned off at the time. The auctions are over, and it is expected that other networks will begin rolling out this year. In the meantime, EE claims to have 45% of the population covered and with these additional markets, that percentage will climb to 55%. While EE’s aim is to cover 98% by the end of 2014, at the rate things are moving now, we would not be surprised if the UK’s largest carrier had things buttoned up a little ahead of schedule. The towns to be the latest recipients of LTE goodness are listed in the press release below. 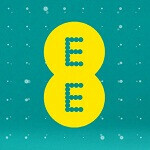 – EE, the UK’s most advanced digital communications company, today announced that 4G will be switched on in a further 27 towns across the country by June 2013, expanding superfast coverage to more than 65 UK towns and cities in total.